Just as our wardrobes change as we transition into winter, so should our homes. One of the most important places to make a few tweaks is in the kitchen. I asked natural foods chef, Andrea Beaman, and organic recipe queen, Carrie Vitt, for their top wintertime tips for creating a healthy, holistic kitchen. ~ Andrea Beaman, Natural Foods Chef, author, and television host dedicated to alternative healing and green, sustainable living. Try her Simple Crock Pot Stock. ~ Carrie Vitt, author of Deliciously Organic: Simple Dishes, Vibrant Flavors Everyone will Love. 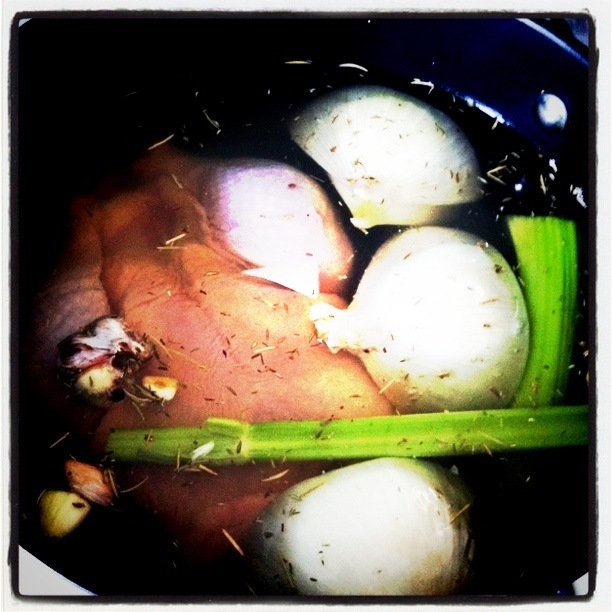 She makes a tasty immune-building chicken stock that incorporates the whole bird (cooked chicken and broth, a two-fer!). Carrie often uses coconut oil when whipping up one of her fabulously healthy meals because of its antiviral properties. It’s also safe for high heat cooking, making it a great all-purpose cooking oil. When the temperatures drop, coconut oil will solidify; but it melts easily. Side note: As I mentioned in this post, I use coconut oil (separate batch for hygiene) as a moisturizer too. It melts in seconds when applied to skin warm from a hot shower. It’s antiviral/antibacterial properties work topically too, so you’re moisturizing and protecting at the same time. Carrie also recommends her favorite vitamin C powder—Pure Radiance C, made from organic and wild berries—as a supplement to support immune health during flu season. I swear by Thieves Essential Oil blend from Young Living. It has 100% therapeutic-grade essential oils of clove, cinnamon, lemon, eucalyptus, and rosemary that combine to deliver antimicrobial, antiviral, and antibacterial protection. During times of stress (hello holidays!) and flu season, this oil, along with Inner Defense Softgels (which also contain Thieves but with oregano, thyme, and lemongrass) give me a fighting chance of staying healthy. If you’re the DIY type, you can whip up some of these sore throat treatment recipes now to have on hand at the first sign of cold/flu symptoms. 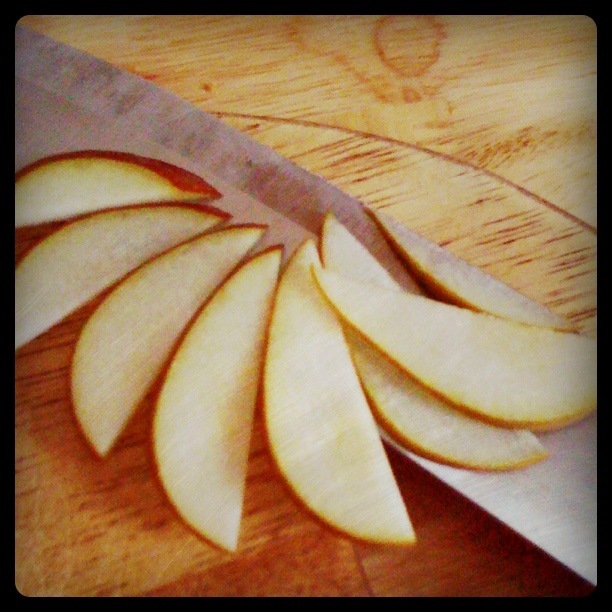 No, you don’t need to practice knife throwing or even perfect your slicing technique. All you have to do is sharpen your main prep knife. Why? Dull knives don’t just make hard winter veggies difficult to cut, they are a more serious hazard to your health than sharp knives. Most knife injuries occur due to dull blades, which need more pressure to cut, making it more likely for the knife to slip off food and cut your hand instead. Not a jolly good time. If you don’t have a knife sharpener (or don’t know how to use the one you have), you can get them sharpened at hardware stores, cooking retailers, and some restaurants. A Japanese restaurant in my neighborhood offers the service for $5.00. (These are NYC prices, so they’re probably cheaper elsewhere.) No excuses…remain sharp for safety!